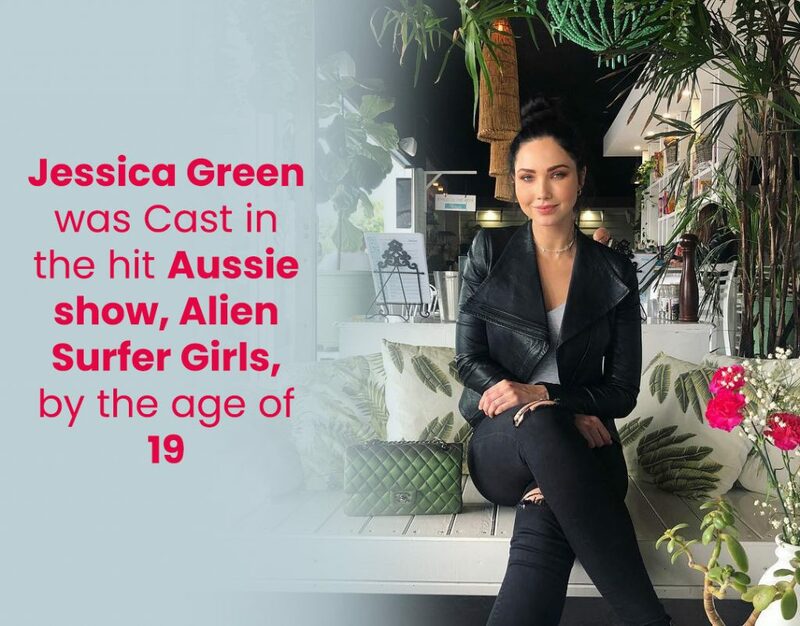 Australian actress and model Jessica Green, known best for her work in the Aussie teen TV show, Lightning Point, is all set to wow Hollywood as well! The actress was cast in the lead role as Talon for CW’s latest show, The Outpost, which premieres on July 10, 2018. Jessica Green’s wiki reveals more about her previous work in the industry, as well as her personal life. Jessica Green was over the moon when she was cast for The Outpost. And she was very grateful to the channel and producers of the show for allowing her to showcase her acting talents. The TV drama series follows Talon, a lone survivor of the Blackblood race, who is in pursuit of her family’s killers. Jessica Green, age 25, was born on February 11, 1993, in Tasmania, Australia. The Gold Coast native was interested in modeling since she was little and began her career as a model when she was 14. By the age of 16, this five-foot-nine leggy lass won a competition, which landed her an agent, and was on her way to achieving big success. She did most of her work in the land down under at the start of her career. She was cast in the hit Aussie show, Alien Surfer Girls, by the age of 19, which was one of her first stints in acting. Green was a model and a good one at that, when her agent wanted to add acting to her resume. In an interview, Green said that she was hesitant at first to take up an acting career. However, she still went to auditions for the role of the infamous Kiki in Alien Surfer Girls and stumbled! She said that she forgot her lines and was somewhat awkward, and she was skeptical of her performance. Green was going back home from another job she had finished when she got a call from the casting team. They told her that she was put on hold. She then received an acting coach. And after some rehearsals and a second audition, she was cast as a lead member of the TV show. Green hasn’t looked back since. And although modeling has been her primary passion, she’s doing everything she can to prove herself an actress, too. Green has done most of her work in Australia, where she was part of some of the most interesting TV shows as an actress. She’s also a brand ambassador for some popular products as a model, too. Her presence is loved by many, and her face is behind brands like Probioskin, Nike, and Oscar Oscar, Australia’s leading hairdressing salons. Jessica Green has acted in movies like thriller Red Billabong (2016), Rise (2014), and Pirates of the Caribbean: Dead Men Tell No Tales (2017). Her TV shows include The Outpost, Alien Surfer Girls, Lightning Point, and Roman Empire: Reign of Blood, where she played the part of Cleopatra. She was a social media influencer for fashion brand Mossy Australia, when it was up and running. But currently, Jessica Green’s Instagram page is peppered with endorsements and advertisements for brands like Daniel Wellington watches, Love Fitness Apparel, Status Society, BondiBoost, and Doll Swimwear. Jessica Green’s eyes, which are a striking blue, are one of her best features. And she uses them as a USP in most of her shoots and ads! It looks like the model-turned-actress is managed by her mother, Cherine Green, through Green Management. She also has a brother named Tyler Green, who is also a model. And the family has a fur baby called Chubz Green! If you were wondering if this was the same Tyler Green who looked all chummy and close to Michael Jackson’s daughter, Paris Jackson, then you’re right! Green and Paris were spotted together back in 2017 during the Melbourne Cup, whispering into each other’s ears and giggling. Jessica Green, who shuttles between the U.S. and Australia, has a steady relationship of her own with boyfriend Cayden. Although there isn’t much information, Instagram posts reveal that they are totally in love. Cayden has also accompanied Green to Coachella, and the couple posted a picture online that they took with rapper Post Malone. When Green isn’t acting, she loves spending time at the beach surfing and going shopping, and she loves sports. She loves watching and following shows like Family Guy.